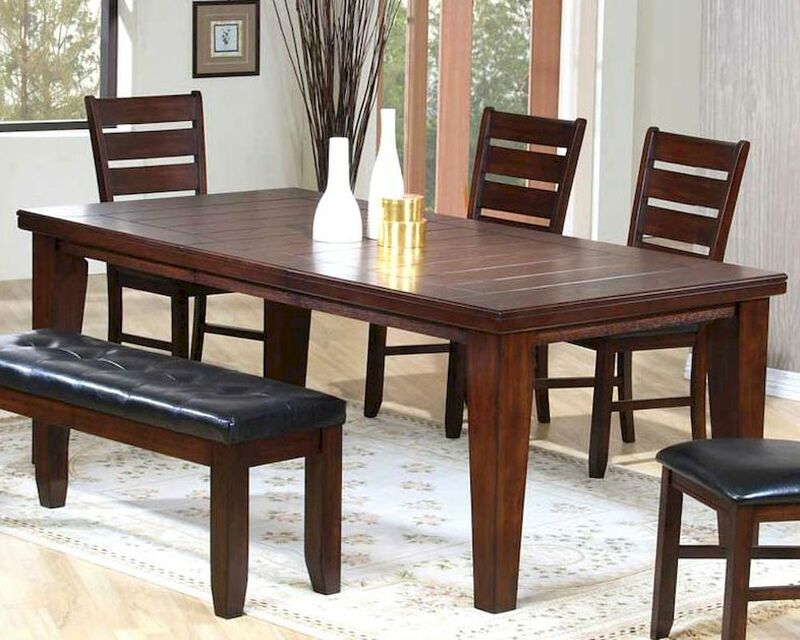 This contemporary dining room set features a veneer rectangular table with butterfly leaf and thick legs. The seating includes 4 ladder back chairs in wood with leather seats and a matching bench with tufting on the seat. Dining Table with 18 inch veneer butterfly leaf. Dining Room Set with veneer butterfly table.